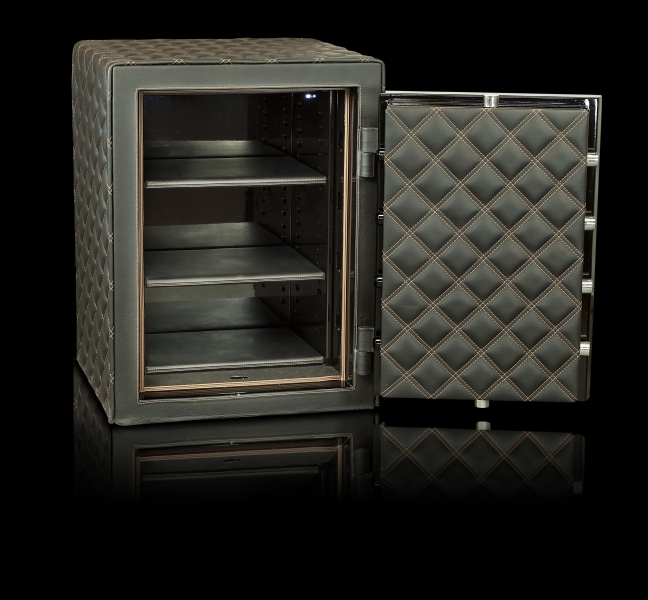 If you are looking for a bespoke or luxury Safe for your home, yacht or private jet then you have come to the right place. We have over 40 years of experience with safes and locking solutions and we offer a select range of luxury safes for our clients. Giving them peace of mind and the highest levels of protection for their personal possessions without having to compromise on style or design. All of our products are certified to British Security Standards, recognised as the highest in the world. We use the highest quality of craftsmanship for beautifully finished security solutions whilst meeting the requirements of all the major insurance companies. Our Safes provide high overnight cash ratings between £10,000 and £100,000 and from £100,000 to £1m for jewellery and valuables (depending on the grade of safe selected). Each comes with a choice of very high security locking options which include mechanical, electronic and the latest finger print entry systems. Having worked with major banks and government departments over many years our team have high security clearance enabling you to be confident in the confidentiality of all work we undertake on your behalf. Our small dedicated team manage every stage of the process from initial site visits and assessments, through the design and build process and then ensure that your luxury safe, security door or panic room are expertly fitt ed to your exact requirements. All of our products offer complete flexibility in terms of design, functionality and finishing and are backed by an individual and personal service from our team. 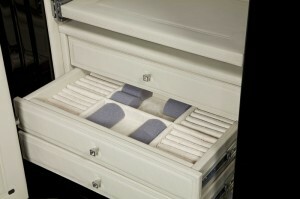 Our luxury range of safes can be designed and completely customised including options such as watch winders and jewellery trays configured just the way you want. If you want further functionality such as interior lighting just ask. The bespoke design doesn’t have to end with the interior! You can select an exterior finish to suit the style or colour scheme of your home or office. Finishes such as high gloss, granite, polished hardwood, leather or even glass are all possibilities for you to consider. 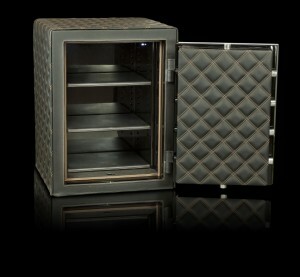 You can have your favourite image, company brand or family emblem included in the design for a totally unique safe. For Further information on our bespoke and luxury range of safes and security systems, please give us a call on 0117 9674994 – our services are completely confidential.